Is your child or grandchild interested in learning to knit? Would he or she love a new summer project? 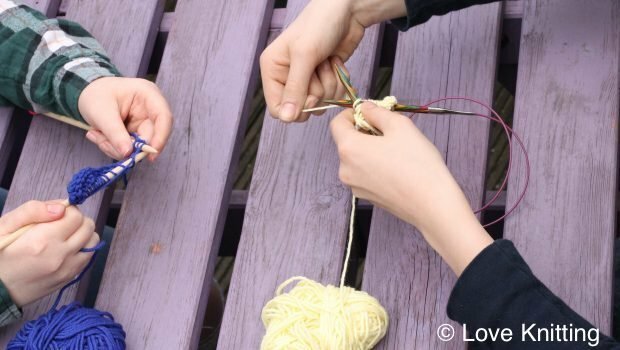 Join us for a new workshop series for the young knitter-to-be. We'll provide hands-on instruction, and we'll focus on developing a strong knitting foundation. Kids will build the necessary skills to complete one or more beginning, skill-appropriate projects. In this class, students will learn: casting on, the knit stitch, the purl stitch, binding off, and weaving in ends for a nice finish. Instructor Bio: Your child will be guided by three experienced knitters - Gail D., Cal F., and Zephyr R. Each of these instructors helped establish and teach in a local after school knitting program.